Simon & Schuster, 9781476714790, 608pp. What began on the grass at the Monterey Pop Festival with the signing of Janis Joplin has evolved into a lifelong passion and calling, spanning genres, including rock, pop, R&B, country, jazz fusion, and hip-hop. His is the imprimatur that has helped shape contemporary music and, over the years, our popular culture. The Soundtrack of My Life is an essential book for anyone interested in the story of popular music, the fascinating ups and downs of the music business, the alchemy of hits, and the dramatic life of a brilliant leader...and listener. It is a riveting read from beginning to end. 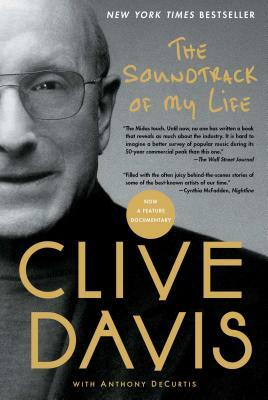 Clive Davis is the Chief Creative Officer of Sony Music. He has worked with innumerable musical stars and media personalities. Born and raised in Brooklyn, he attended New York University and Harvard Law School. "The pages of The Soundtrack of My Life are filled with fantastic scenes and revelations."